Disclaimer: This post may contain affiliate links that offer me a small commission at no additional cost to you. This allows me to continue sharing awesome content with you through this site. Much of the labor preparation resources I've come across are all about how to get through contractions: comfort measures, breathing techniques, positions, etc. What about what you should be doing in between contractions? Labor (in most cases) progresses from short mild contractions spaced far apart to longer, stronger contractions that are much closer together. As contractions get longer and closer together, they are getting you closer to bringing baby down into the pelvis and out the birth canal. It's a lot of work and it can be exhausting! Here are 7 things to do between contractions to keep you focused, relaxed, and ready to meet your baby! This one is huge for early labor. Labor can be long and while it's exciting to realize it's finally starting, the more rest you get now, the more energy you'll have for later when things are more intense. If you can no longer sleep through contractions, you may be approaching active labor. This would be a good point to time your contractions and consider going to your birth location. 2) Watch a movie, or even better watch your own movie- wedding video anyone? In early labor, distraction can be really helpful. What better way to get mentally and emotionally ready to welcome your little one than watching the video of where it all started, your wedding video! Being relaxed in between contractions can be really helpful once you are in a more active stage of labor. If you can be in a physically relaxed state (loose muscles that aren't tense) before the contraction starts, it may be easier to stay relaxed throughout the contraction. Think jello: you want soft, relaxed, loose muscles both during and between contractions and massage is a great way to make that happen. Say what!? I don't care if you are a good singer or not. Blast some of your favorite songs to sing along to or even some praise and worship songs and sing as a prayer (great tool to get through contractions too). You can't hold your breath and sing at the same time so singing forces you to be breathing. When a contraction comes on, sway to the music and as soon as it peaks go right back into singing. You can even try singing during a contraction; experiment with what feels best and adjust accordingly. Get some fresh air. Walking during labor is great for getting baby into an optimal position for birth and for getting baby's head engaged. Go outside for a walk and take breaks as needed when you feel a contraction coming on. Try to keep walking through any contractions and if you have to stop until the contraction stops, that's a good sign that they are getting stronger and more productive. When was the last time you played a card game? Play Go Fish, War, Apples to Apples (This is one of my favorites and under $15 right now! ), whatever you want. Sit on your birth ball while you play, pausing to focus through contractions. It will pass the time faster (labor can be long) and give you something to do while hanging out at home before going to the hospital or birth center. Birth affirmations can be a great tool when labor is getting hard. You can hang them around the room, have a deck of affirmation cards, or just have someone read them to you. When contractions are intense and close together you probably don't want any talking during contractions so you can focus, but hearing or seeing/reading the birth affirmations between contractions can be the great boost you need to get you over the finish line to welcome your baby. There you have it! 7 ideas for what to do in between contractions while you're in labor. Like what you read? 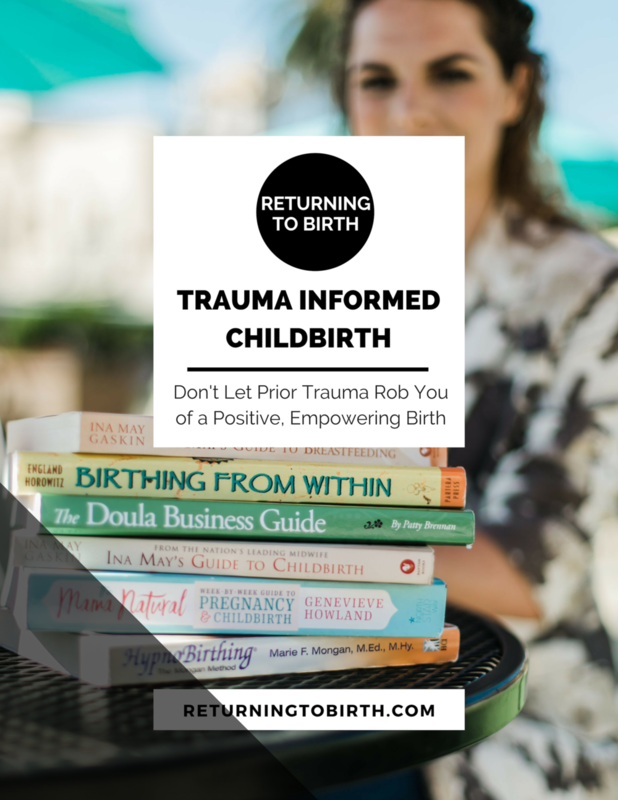 You’ll like this too: check out my post 5 Secrets to Pain Free Childbirth and don’t forget to share the love by pinning to Pinterest! Just click on the Pinterest symbol below. Have a birth story to share?